ranging from iconic local landmarks to residential housing and stables. James Stoddart was born in Scotland in 1849 and was trained in Glasgow as a carpenter and joiner. 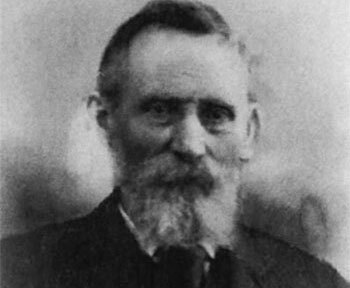 He migrated to Australia with his wife in 1849, settling in Mudgee in 1881. At that time Mudgee was rapidly growing, and there was abundant work available for tradesman. Prior to 1910, James entered into parternships wtih Duncan MacFarlane and Charles Casimir. During this time James worked on many iconic Mudgee buildings, many of which are still standing today. 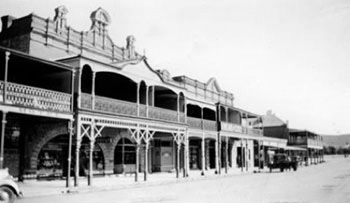 In 1881 James was contracted to install the roof and joinery for the Mudgee Town Hall. As testimont to James' skill as a carpenter and joiner, this work remains substantially intact today. 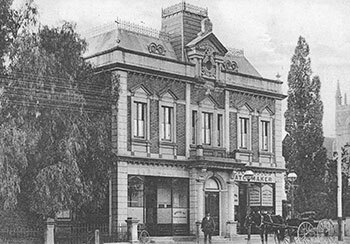 In 1883, James worked on the construction of the new Gulgong Bank, located on the corner of Mayne and Herbert Streets in Gulgong. Nearly 80 years later in 1960, this building was demolished and replaced with a more modern building. 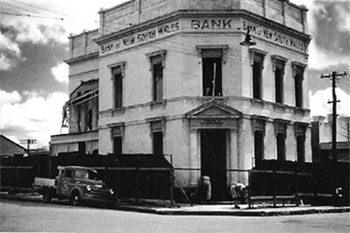 This work was completed by James' grandsons, Jim and Keith Stoddart, and the building remains today as an NRMA office. In 1883 MacFarlane and Stoddart were awarded the tender for Consturction of the Cudgegong Shire Building, designed by Mansfield. While illness lead to MacFarlane withdrawing from the project, James went on to successfully complete the building in 1885 with new partner Charles Casimir. 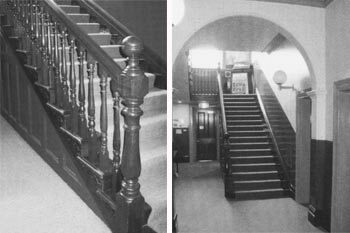 Another excellent example of James' skill as a joiner, his work is essentially still intact today. The building now houses the State Government Offices. James Stoddart purchased the settlers store at 91 Market st to establish a workshop on the site .The work shop continued in use till 1990. In 1898 Mr E Sheppard commissioned Stoddart and Casimir to erect a 'fine brick stable' in Market Street, Mudgee, deisgned by Hardwick. Still standing today, the Stables later became Elton's pharmacy, and most recently Elton's restaurant. 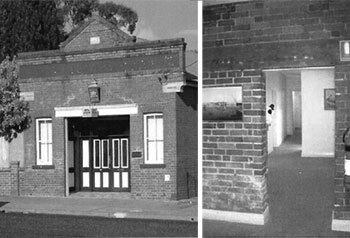 At the turn of the century, James worked on the construction of the brick Fire Station in Mudgee. In 1912, the then J Stoddart and Sons, completed additions to the rear of this building to accommodate the full-time fire officer. Most recently the interior of this building has been refurbished for use as a dental surgery. Stoddart and Casimir completed the construction of the new St Matthews convent wing, including a drawing room, two large dormitories and additional rooms. The entire convent building remains essentially the same and is located adjacent to St Mary's Church in Mudgee. Later in 1902, James completed works on the wooden ceiling at the Mudgee Showground Grandstand. 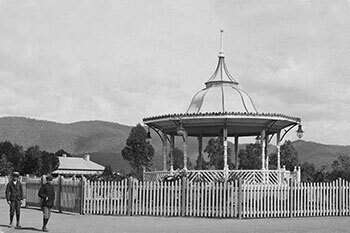 Arguably Stoddart's most iconic project was the erection of the rotunda in Robertson Park, Mudgee. The Rotunda was built as a memorial to Sir John Robertson, a member for Mudgee in the legislative assembly for many years, and to three enlisted Mudgee men who died in service during the Boer War. The rotunda is still in very good condition today. 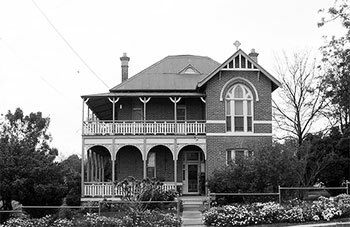 In 1908 Stoddart and Casimir were successful in their tender to construct a new convent at Gulgong. Today, this building remains one of the oldest Josephite Convents still in use today. The balcony, once enclosed as a dormitory, was recently restored and offers expansive views of Gulgong. In 1910 James completed the construction of the stables for the post office in Perry Street Mudgee. 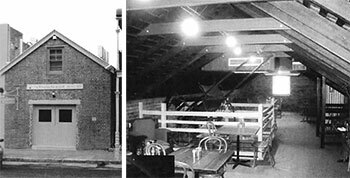 The Stables were later refurbished and now house the Wineglass restaurant. Upstairs, most of the original wooden roof structure is a prominent feature of this restaurant. After the passing of James Stoddart in 1934, his second son, Gordon, formally took over the ownership of the business by buying out his siblings. By this time Gordon's oldest sons James and Keith were able to join him in carrying on the business. A third son, Geoffrey joined later. 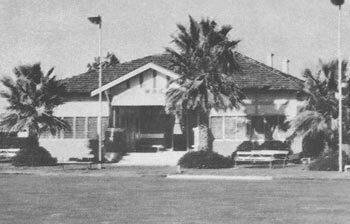 In 1929 Stoddarts completed construction of the Pavillion for the former Mudgee Bowling Club on the corner of Perry and Lovejoy Streets. The Pavilion remained home to the bowling club up to the 1970s. Most recently this building has been repurposed into the Mudgee Preschool. In 1968, Peter Stoddart joined his father Keith and Uncle Jim at Stoddarts. In 1973 Stoddart's made history, as the first company to bring builk glass over the Blue Mountains by road. Previously the glass was bought by rail from Sydney in small sheets. In 1980 Gordon left the business due to health reasons, and his son James retired. These changes left Keith as director of Stoddart's, after which his son Peter purchased half of the business to run with his father. Six years later, Keith retired, leaving Stoddart's in the safe hands of his son Peter. Peter's son Daniel joined the team, and his son Ben also joined the team shortly thereafter. 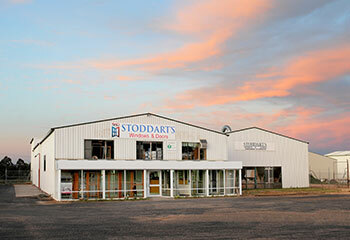 In 1990, Stoddart's moved to a new state-of-the-art workshop and showroom in Industrial Avenue, Mudgee. 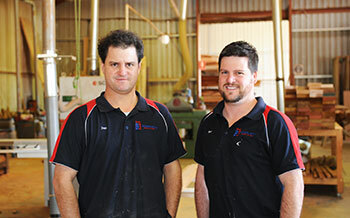 In 2014 Daniel and Ben bought the business from their father Peter, changed it into a company, and changed the name to Stoddarts Windows and Doors. Peter still assists the boys from his semi-retirement!